Value shoe retailer Brantano, which operates a number of concessions in garden centres across the country, has called in administrators this week. It was revealed on Wednesday, March 22 that Tony Barrell and Mike Jervis of PwC were appointed as joint administrators of Brantano Retail Limited. The value shoe retailer operates 73 stores and 64 concessions across the UK, including at Wyevale garden centres and independents, such as Melbicks Garden Centre in Birmingham, Flowerland Garden Centres in Buckinghamshire and Bourne End and Oakham Garden Centre in Leicestershire. The company employs 1,086 staff, with its 18 stores and 14 concessions alone in the Midlands employing 244 people. The company’s head office is located in Hinckley, Leicestershire, where there are an additional 71 staff. Brantano Retail Limited was bought out of administration by a company controlled by Alteri Investors in February 2016 but, said PwC, has experienced difficult trading conditions, despite sustained efforts and streamlining to make the business more commercially viable. A sale of the company was explored and, whilst there was interest, a deal could not be done, resulting in PwC’s appointment this week. PwC lead administrator Tony Barrell said:“Despite significant improvements in the business and reductions in the cost base, trading has continued to suffer in a depressed and competitive footwear market. 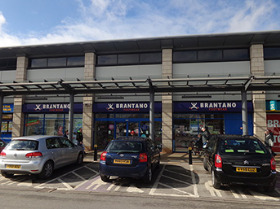 Like many other retailers, Brantano has also been hit hard by the sharp decline in sterling, the ongoing shift in consumer shopping habits and the evolution of the UK retail environment.